While I was down in Mexico casting for… well… whatever would eat a 1/0 Surf Candy/Clouser, I had two loaner rods with me… an 8 wt. Hydros and an 8 wt. Access. Having cast the Helios down in Belize a few weeks back, I’ve now cast three different Orvis sticks in an 8. I must say… I’m impressed. If I were going to buy one of these rods, I’d probably go with the Hydros. The Hydros gets you a rod as good as the Helios with a substantial discount on the price. I cast the Hydros most of the time I was down in Mexico. It was light, crisp and powerful. I was throwing lead eyes and sinking lines and the thing just played very well. 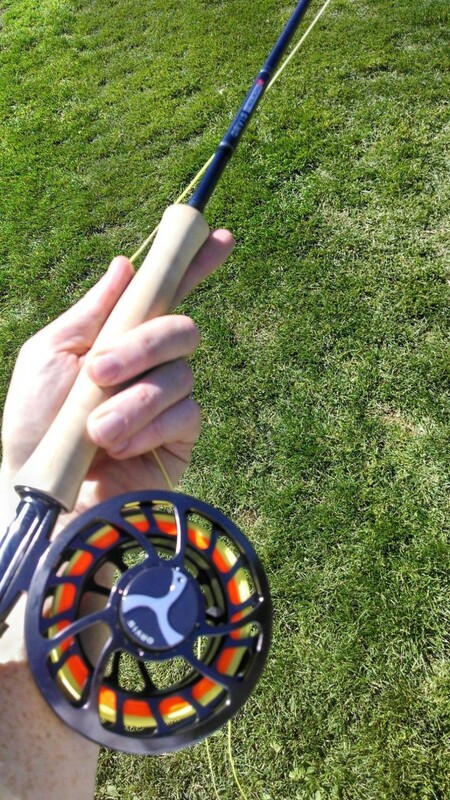 The Access is on the lower end of the Orvis spectrum, but it is still a good stick. When you put them side-by-side you notice that the blank is thicker and when you pick it up, you notice the extra weight, even if it does come down to a couple ounces. The Access is a little slower, so I had to change my casting stroke some, but the rod can still pound the casts out there. It may not be fair to look at the Access after having cast the Hydros for a few days since the Hydros is just a really slick piece of casting rocketry. Vallarta is a hard place to judge for rod selection. I would have been fine on most of the fish I caught with a 6 weight. Still, there are a few fish I hooked that would have put a serious beat-down on a 6. You just never know what is going to be on the other end. Could be a 5 ounce fish. Could be a 25 pound fish. The Fed Ex guy kept it late, which made it interesting. In the end, he made it here about 6:45 PM. Sure, I don’t leave for Belize for another 6 days, but I really wanted the weekend to do a little casting and it looks like that is going to happen. 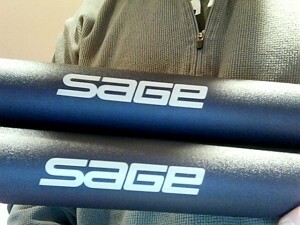 The box that arrived this evening was from Bainbridge Island, WA and if you are a fly fisherman that means Sage. Two brand new Xi3‘s were in the box, a 7 and a 10. I was a little surprised that the rods were brand new. These are loaners, after all… I have to send the things back after the trip, so I figured I’d get a rod that had been loaned in the past. 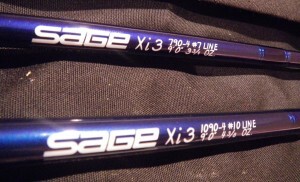 Not so… these were spanking new with that new-rod smell… well… there really wasn’t a smell, but ya know what I mean. 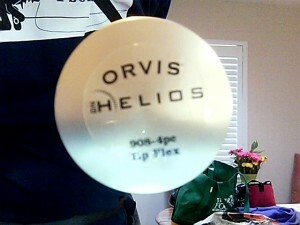 In other news, I’ll actually be bringing along a third rod to demo… this rod will be the Orvis Helios in an 8 weight. 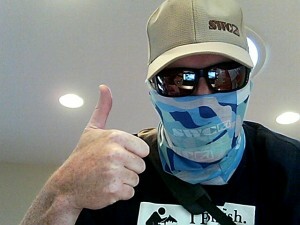 I just did an interview with Steve Hemkens at Orvis for the Blog and he offered to loan me some gear. Having the 7 and 10 slots filled, I figured it would be better to go with an 8, instead of putting the Helios and Xi3 into some contrived duel. 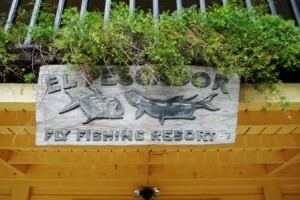 I am looking forward to doing some test driving in the coming days and putting them through the paces in Belize. I’m just about done tying flies for the trip… I added another 8 or so flies today to the two crammed bonefish/permit boxes and am at about 148 flies now. My guess would be I’d use 10. So… over provisioned a tad, both on the fly front and probably on rods. Both are good problems to have. Today I leave for Grand Bahama. I don’t know if I’ll be posting reports while I’m there, or if I’ll wait until I get back. I will, however, schedule some reports to post while I’m gone so that my goal of a post a day is met. A couple years ago I picked up an Okuma reel at my local fly shop, Off the Hook. I had never had an Okuma before, but the reel looked good and I needed a new reel for my 7 weight. The price was right too… about $173. I recently wrote a review of the Okuma Helios for the Off the Hook fly shop… here is my review, as found on the Off the Hook website. A couple years back I picked up an Okuma Helios for my 7 wt. I planned to use the Okuma for heavy trout (Lower Sacramento, primarily) as well as whatever other trouble I could get into with my 7 wt… shad, light steelhead, bass and even bonefish. My first impression of the Helios was that it was relatively light weight with a good drag system, an attractive design and good durability. Okuma touts the Helios as “nearly maintenance free,” which is a bonus for me as I am unusually harsh on equipment. The waterproof drag makes it a good solution for me for saltwater applications like bonefish or jack crevalle. The weight balances well with both the St. Croix Legend Ultra and Sage RPL that I’ve fished it on. 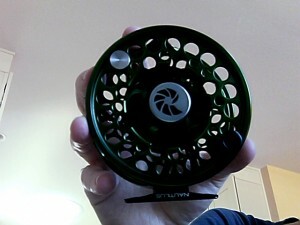 I’ll be putting it on a TFO Axiom 7 wt. for my upcoming trip. Before I could take the reel to the Lower Sacramento, it went with me on a trip to catch my first bonefish in Grand Bahama in the winter of 2008. I was unsure how a reel at this price point would deal with the famously strong fish. At $173, the Okuma is about $100 less than comparable Ross Reels and well over $300 less than the heavy weights like Tibor or Able. In bonefishing the reel is a lot more important than the rod, unlike most of the trout fishing I’ve done in my lifetime. My Helios was put to the ultimate test when I hooked into a 7.5 pound bonefish on the East End of Grand Bahama. I was in my backing in maybe 2 seconds. The drag was smooth, no jerking, no hesitation. The large arbor design helped me pick up line quickly. Since then the Helios has landed shad on the American River and 20”+ bows on the Lower Sacramento . 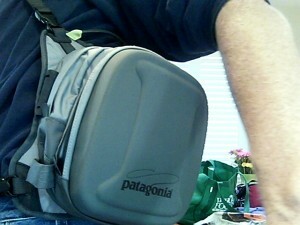 The reel is still in mint condition and will be making another trip with me to the Bahamas . I trust it with the fiercest of gamefish.